YES, THERE ARE GORGEOUS BEACHES. Majestic volcanoes. Incredible rainforest. Fantastic wildlife. But perhaps the best thing about Costa Rica is its people, their culture, and what they can teach us northerners about how to live. It’s in their very language — a philosophy of letting go, relaxing, and knowing how to enjoy life. This expression is a good place to start, because it combines two essential Costa Rican terms: Tico, which is what Costa Ricans call themselves, and gallo pinto, literally “spotted rooster,” the ubiquitous and awesome traditional rice-and-bean breakfast dish of Costa Rica. The word mae is heard with astonishing frequency, especially among men. It’s used like “dude” among friends, or it can refer to any person. Ticos love to play, but they also love work — as evidenced in the commonly heard phrase Mucho brete, gracias a Dios (“Lots of work, thank God”). Costa Ricans readily express appreciation for their good fortune and that of others. Literally “what laziness,” this is what Ticos say when they don’t want to do something or are bummed out by something. Literally “to carry it soft,” this expression comes in handy when you’re on vacation. We should also totally start using it in English. This graphic expression is used when someone is totally off base or has done something grossly inappropriate. Embracing this expression is an important step toward learning how to relax. There’s also just suave (“easy” or “slow down”). Soccer, of course, is the sport in Costa Rica. Ticos love watching it and playing it. If you want to get in on a pickup game with the locals, remember the word mejenga. The verb is mejenguear. Literally “good note,” this expression is used often in Costa Rica to say someone is cool or nice. When Costa Ricans listen or pay attention to you, they “give ball” to you. Those of us who mess up often will learn this expression — literally, “what a patty” — early on. This is a friendly way to announce yourself when you arrive at someone’s home. This slang word means “thing” or “stuff” on its own, but is used in varying ways in many expressions: Qué es la vara? (“What’s the deal?”); pura vara (“pure lies”); toda esa vara (“all that stuff”); tumba la vara (“calm down,” “drop it”). 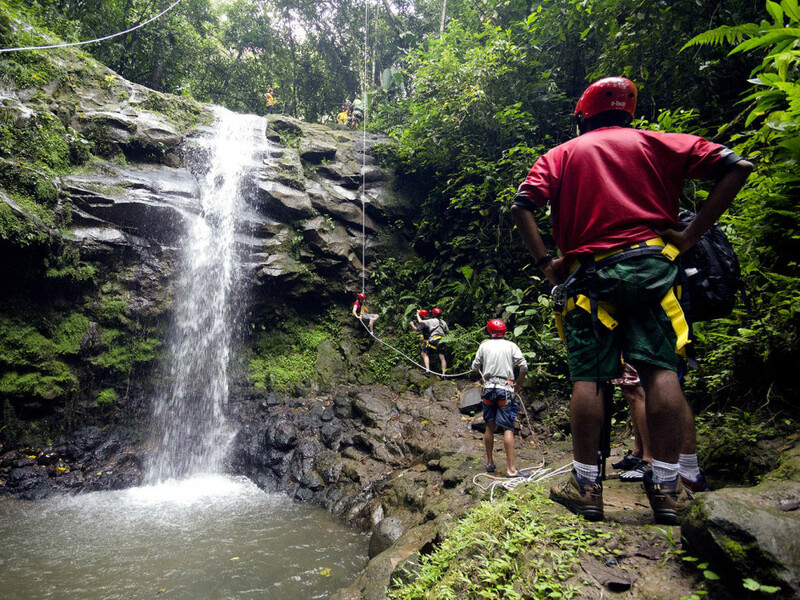 The zarpe is an important social institution in Costa Rica. No night out is complete without it. Yes, we are referring to MacGyver of ‘80s TV. The ingenious secret agent who solved problems using paper clips and chewing gum rather than guns — Ticos take pride in having no army — is so beloved in Costa Rica that he has made his way into the local lexicon. As those familiar with the show may have guessed, hacer un MacGyver (pronounced mah-GHEE-verr) means to improvise or fix something with whatever you have at hand, or just to find a simple solution to a problem.